Megan Wallace: Why would you say anger is such a pertinent issue for the queer community right now? Richard Porter: Queers are beginning to remember why they were angry in the first place, which connected a lot with wider political issues such as war, conservatism, nationalism, etc. All things which are on the rise today. We were sold the picket fence and mortgage thing. They attempted to silence us with it. But we’re beginning to wake up again. 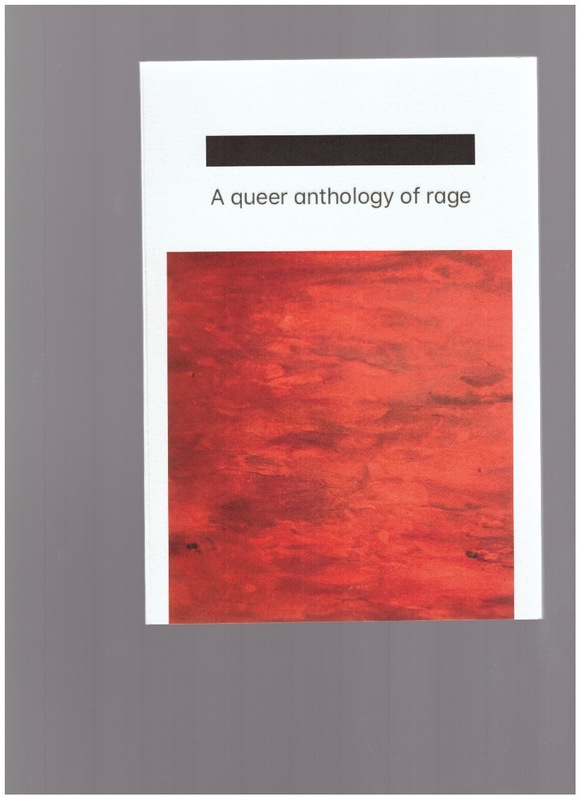 Contributors to this angry/hopeful anthology include AA Bronson, Christeene, Sarah Schulman, Olivia Laing, Paul Lee, Paul P. and G.B. Jones, John Maybury, David Rattray, FAG MOB, and many more.